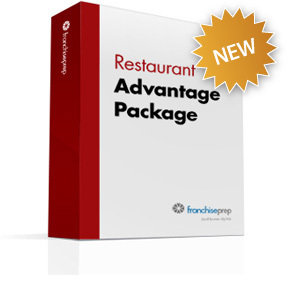 Developed specifically for restaurant franchises, our Restaurant Advantage Package contains the documents you need to launch a thriving restaurant franchise—plus essential tools for ramping up new stores fast. Get started right and comply with regulations by using our Franchise Disclosure Document, Franchise Agreement, Operations Manual, and Restaurant Opening Template. You can also conduct due diligence, find financing, and do day-to-day business smarter with our Restaurant Franchise Development Tools. All in all, our Restaurant Advantage Package is a buffet of forms, tools, and insider information, conveniently packaged at one special price. For service industry and retail franchises, please see our standard Advantage Package. Perfect no matter what your concept, these templates for your two most crucial legal documents are lawyer-edited and FTC-compliant. Opening can make or break as restaurant. Make sure your franchisees get it right with our Restaurant Opening Template. The "bible" of your restaurant franchise, these are crucial instructions for daily, post-Grand-Opening operation. We make it easy for you to tell your franchisees everything they need to know to run things the way you would and launch a thriving restaurant. Essential forms. Indispensable information. We've asked the smartest restaurant franchisors we know to tell give us the tools and insights that franchisors (and franchisees) shouldn't be without. All products in our Advantage Package are Microsoft® Word documents that are made available for easy downloading immediately after you process your order. All are completely customizable and come with thorough, easy-to-understand instructions and special "guidance boxes" that eliminate guesswork and help you complete your document correctly.